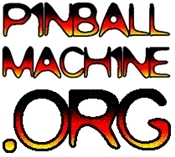 In this post I will document crimes against humanity pinball wizard karaoke. And I don’t mean the good kind. Let’s get rolling. Contestant 1 starts off bad but she’s just warmin’ up. At 1:30 she fires the afterburners and leaves sanity quickly shrinking in the rear view mirror. My ears literally leapt off my head and said, “oh HELL no.” I had to chase them into the bathroom where they were cleaning themselves off in the toilet. Contestant 2, James Earl Jones’ evil twin, strains out Wizard as if he’s performing open heart surgery while someone simultaneously has a gun trained on him from just off camera. Contestant 3 belts out this winning rendition while admitting he’s totally hammered. Classic comment right at the end. “I think I sound pretty f-in’ cool when I’m drunk.” He’s just drunk enough for the ultimate bad karaoke but not so drunk that he can’t figure out how to post it on the internet. Scientists tell us this improbable balancing of events only occurs once in 500 years, with 99.999999999% of all others just waking up covered in their own pee and deleting the video evidence right away.